The annual Chittirai Pournami festival at the Koothandavar temple dedicated to Lord Aravan or Koothandavar at Koovagam about 30 kms from the town of Villupuram in Tamilnadu, India is the celebration of diversity within Hindu religion. This festival provides prominence to the third gender. Hinduism recognizes the third gender or Transgender people. 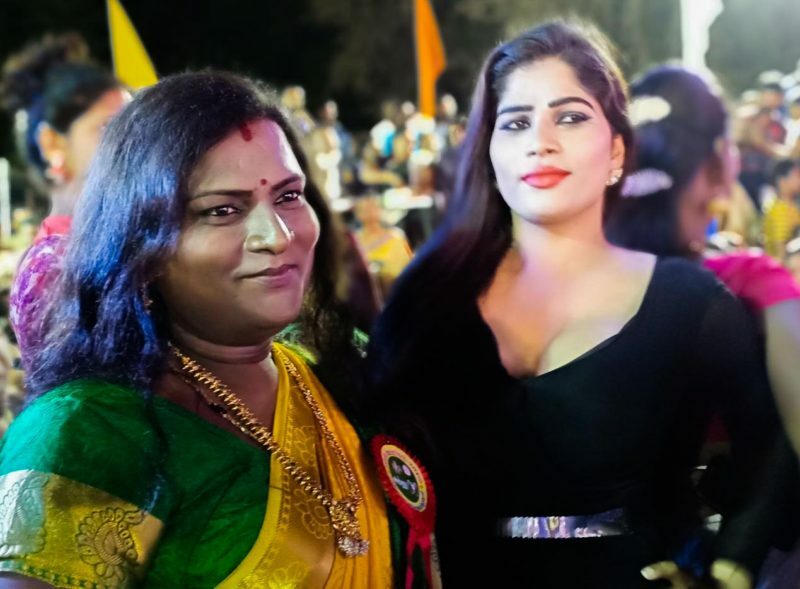 They are also called Hijras or Jagappa depending upon the region. But in these parts, they are called Thirunangais or Aravanis. My familiarity with the Aravanis started during my childhood days spent at Villupuram in the state of Tamilnadu in India. 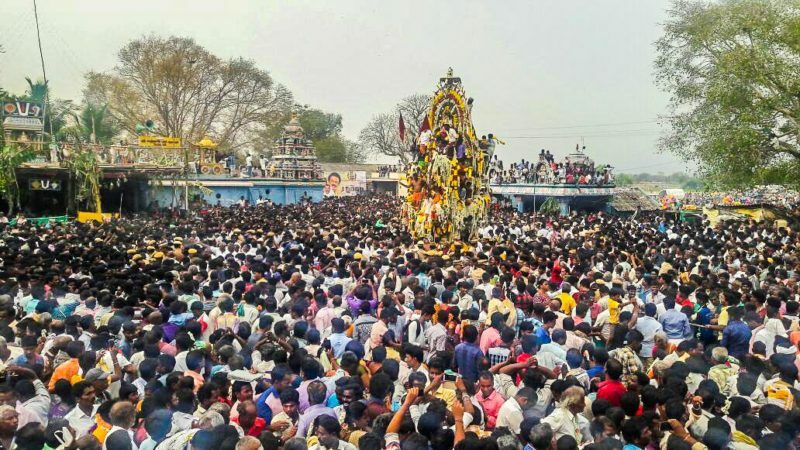 Every April/May during the Tamil month of Chithirai, for about 18 days the town of Villupuram, 20,000 to 25,000 aravanis would descend on the small town of Villupuram and travel to Koovagam to celebrate the yearly Koothandavar festival. 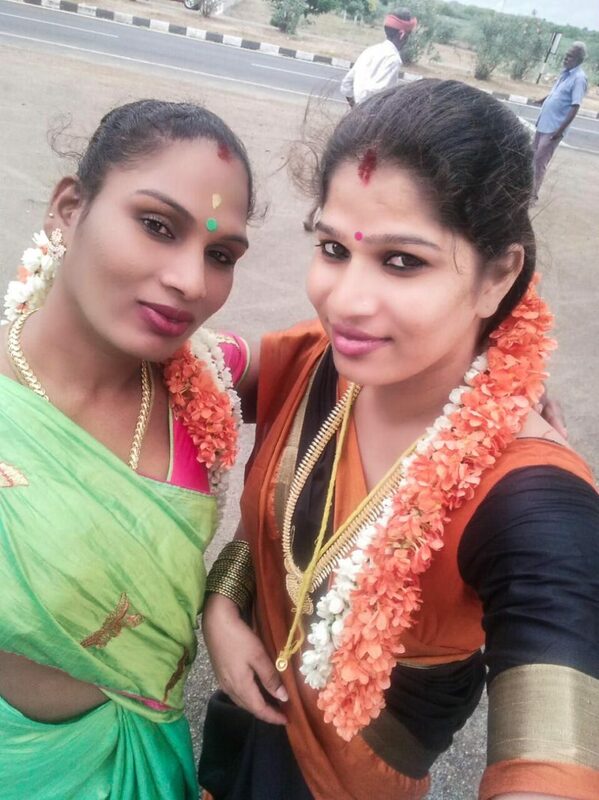 The shops and restaurants of Villupuram would be filled with very poor transgenders who had prayed to Koothandavar and is on the yearly pilgrimage to sophisticated transgenders from even Singapore. Koothandavar temple at Koovagam has its primary deity as Koothandavar or Aravan and only the head of Aravan is depicted here symbolizing his self-sacrifice. The temple itself has impressive frescoes of Mahabaratha scenes. To understand the background of the festival, one need to understand the folklore of Aravan. There are many versions of the Aravan folklore. All are connected to Hindu epic of Mahabaratham. But the common folklore in Tamilnadu has it that Krishna approaches Sahadeva, who is blessed with the skill to predict the future to find out the outcome of the Kurukhshetra war. He sees Duryodhana sitting there seeking the answer to the same riddle. Sahadeva rolls his sozhi (shells used in these parts for astrological predictions) and states to both Krishna and Duryodhana “the victory for both of Pandavas and Kauravas lies in sacrificing or Kalappali of a warrior filled with valor and bravery to Goddess Kali”. Aravan is the son of Arjunan and Ilupi, the Naga princess from North East India. Aravan volunteers himself for self-sacrifice or Kalappali (sacrifice at the battlefield) to Goddess Kali so Pandavas can win the Kurukhshetra war. But before he can sacrifice himself, he expresses interest in getting married. They tried to search for a woman but could not find a woman immediately who wants to be a widow in a day. So Krishna, takes the form of Mohini, and marries Aravan. Next day, Aravan sacrifices himself and Mohini becomes a widow. The festival is the enactment of this folklore where the Aravanis assembled at Koothandavar temple in Koovagam going through wedding ritual. The sacred thali is tied by the priest of the temple to the transvestites symbolizing the marriage of Aravan with Mohini. Next day, the Aravanis mourn the death of Aravan through Kalapali, cut their thread, wear white sarees and attain the window status. 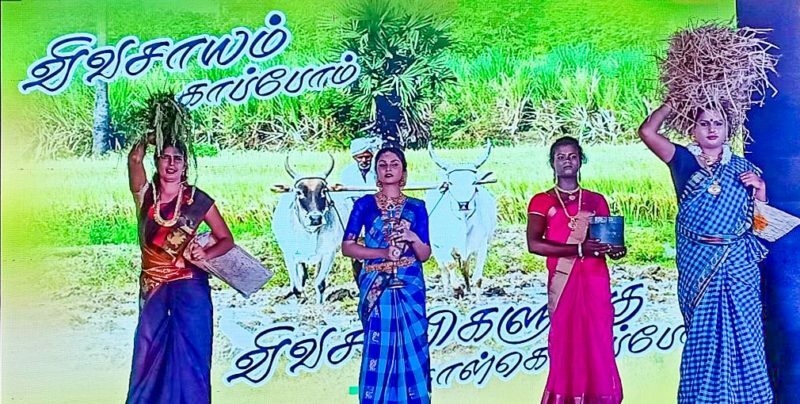 Widows wearing white sarees is a common practice in Tamilnadu. The festival starts 3 days before the Ammavasai of Chittirai (new moon day) and ends with the mourning on the Pournami (full moon day). Nowadays this festival plays a significant part in bringing awareness to the people about the third gender in these parts. 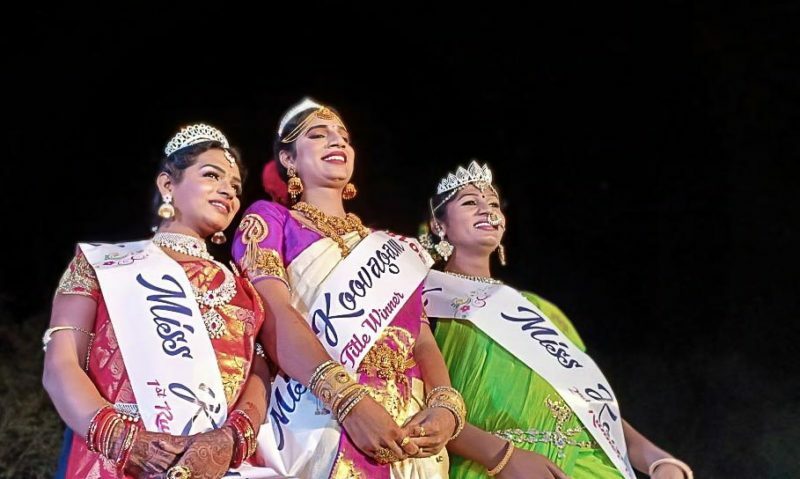 Miss Koovagam pageant and other pageants are conducted. And AIDS awareness camps are conducted. Many Tamil movie stars participate in this festival signifying the positive role played by Kollywood. How to get to Koovagam? Villupuram is a major railway junction and is about 160 km from Chennai. All south bound trains from Chennai passing through Villupuram will stop at Villupuram. From Villupuram, either one can rent a taxi or take a bus to Koovagam, which is about 30 kms from Villupuram. Or take buses from Villupuram to Ulundurpet and then to Ulundurpet to Koovagam. One can either stay at Villupuram or look for accomodations in Pondicherry which is roughly 90 kms away from Koovagam.